Musician Travis Barker was released Friday from the Grossman Burn Center in Sherman Oaks, Calif., Interscope Records announced. Barker underwent treatment for second- and third-degree burns suffered in a Sept. 19 private jet crash in Columbia, S.C., that left four people dead. 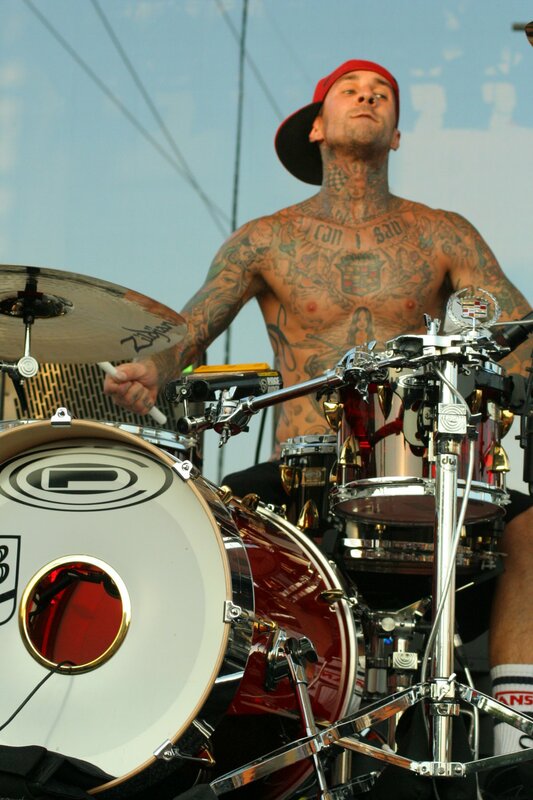 The former Blink 182 drummer had initially been treated at the Joseph M. Still Burn Center in Augusta, Ga., and was subsequently transferred to the Grossman Burn Center at Sherman Oaks Hospital Sept. 29 to be closer to his friends and family, the record label said. "Barker will continue his recovery at home and is expected to fully heal from his injuries over the course of the next few months through treatment and rehabilitation," Interscope said in a release. "Barker appreciates the loyal support of his fans and the media but respectfully requests privacy through the balance of his healing process. An investigation is being conducted to determine what caused the Learjet that Barker and the only other survivor, Adam "D.J. AM" Goldstein, to crash. Chris Baker and Charles Still, both close friends of Barker's, along with two pilots perished in the accident."